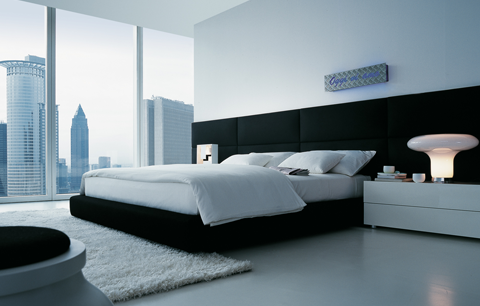 Dream, designed by Marcel Wanders. To simply call it a bed does not do it justice. 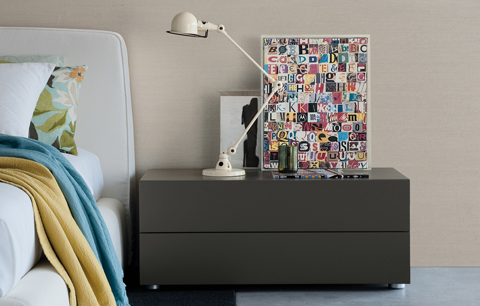 It is a system that actually furnishes the resting area in an original and personalized way. 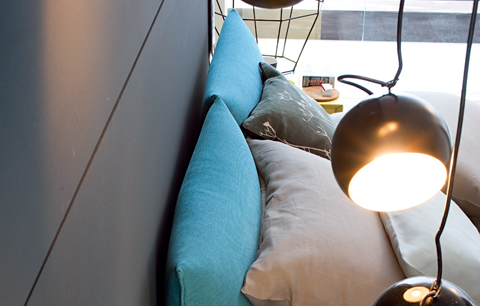 A series of panels combine to create a headboard that can be customized in different fabrics and colors. 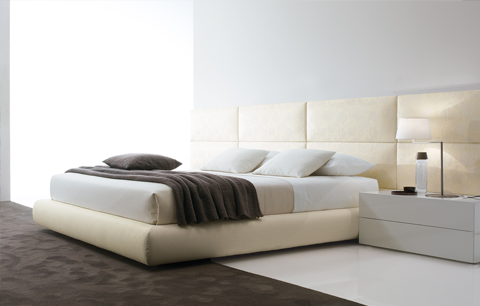 The bed has an upholstered structure, using the fabric of choice. 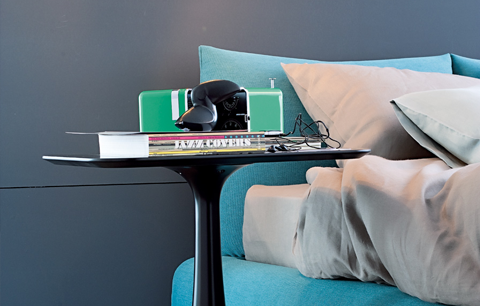 The night table transforms from a unique storage container into a pouf simply by just turning the cover.